Grave Reference: Sec. C. Grave 215. 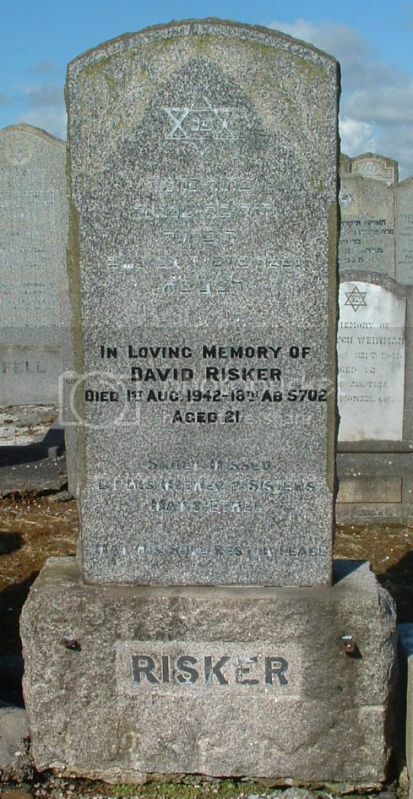 Additional Information: Son of Archibald and Minni Balkin, of Langside, Glasgow. Cpl. Balkin's stone has toppled. 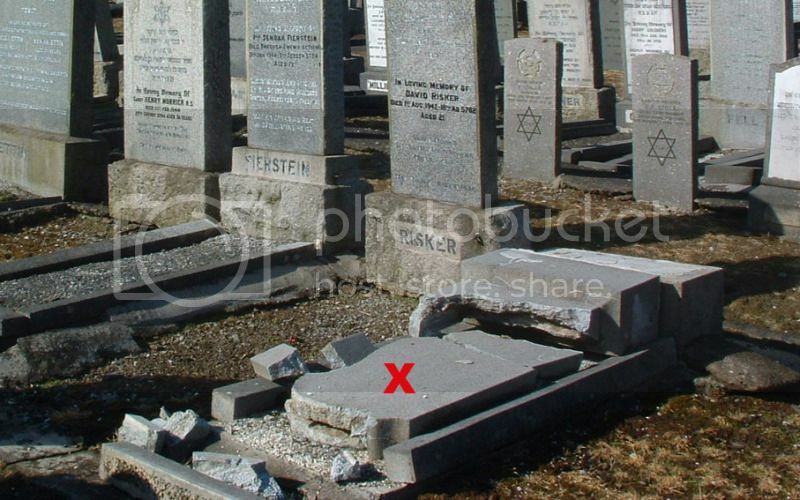 Marked with an 'X' on the following photograph. Regiment/Service: Royal Navy, H.M.S. Landrail. Grave Reference Sec. C. Grave 199. 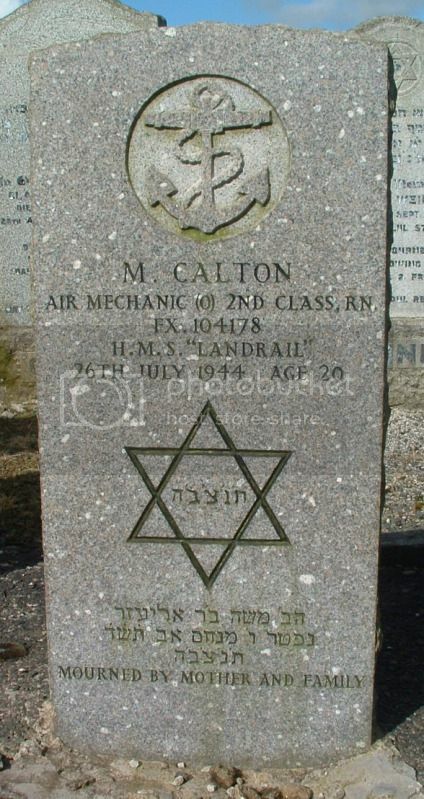 Additional Information: Son of Louis and A. Calton, of Glasgow. 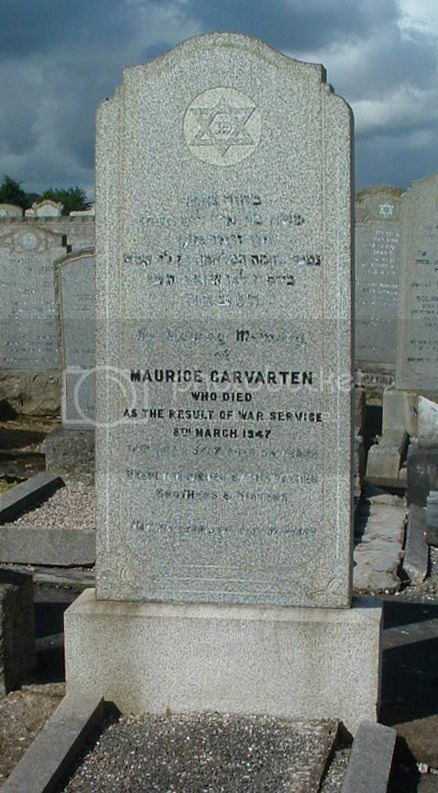 Grave Reference Sec. C. Grave 194. 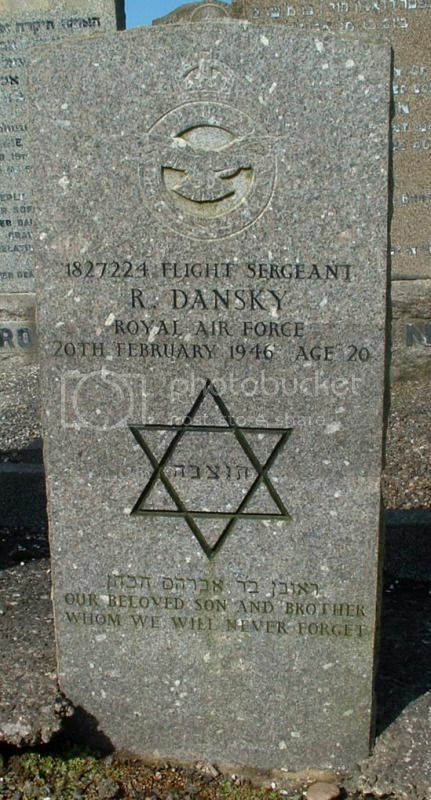 Additional Information: Son of Abraham and Rebecca Dansky, of Glasgow. Grave Reference Sec. C. Grave 198. 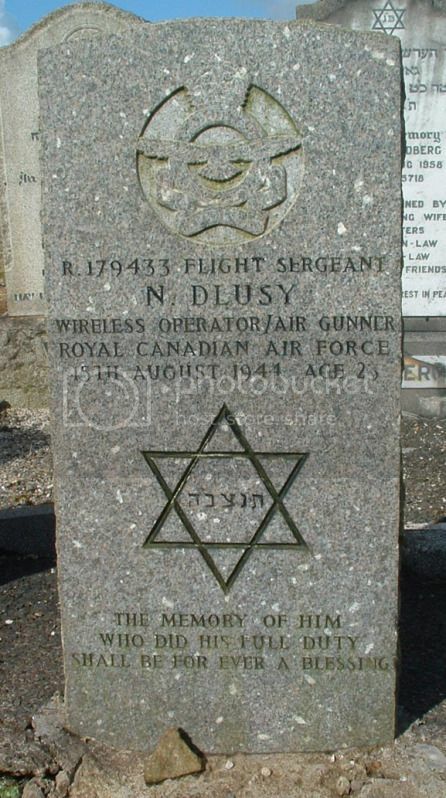 Additional Information: Son of Israel Dlusniewski, and of Regina Dlusniewski (nee Cynamon), of Montreal, Province of Quebec, Canada. Grave Reference Sec. C. Grave 202. 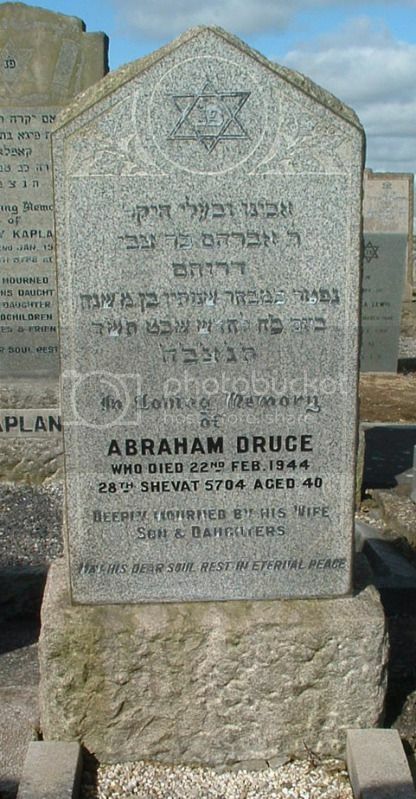 Additional Information: Son of Harry and Rebecca Druce; husband of Rachel Druce, of Glasgow. Grave Reference Sec. C. Grave 213. 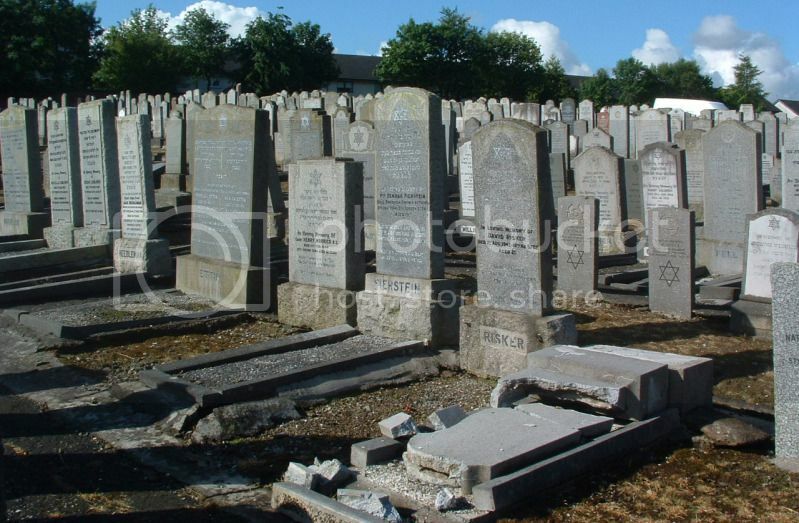 Additional Information: Son of John Philip and Bessie Fierstein, of Glasgow. Regiment/Service: Royal Artillery, 128 Field Regt. 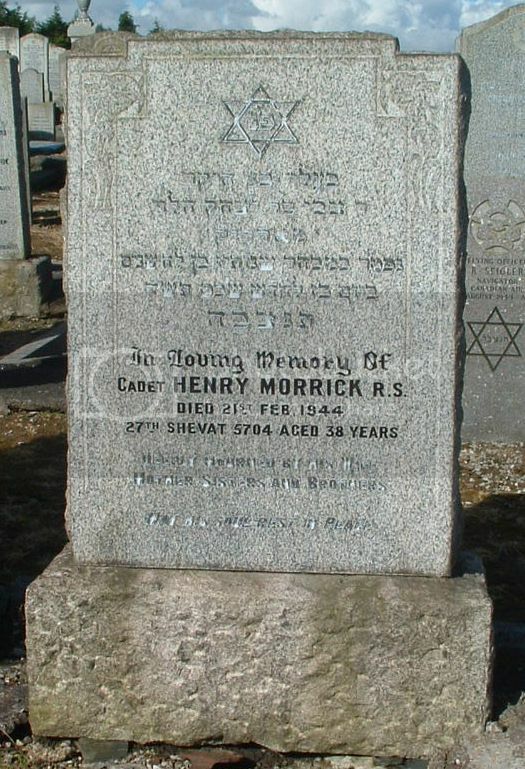 Grave Reference Sec. C. Grave 264. Regiment/Service: Black Watch (Royal Highlanders), 70th Bn. Grave Reference Sec. C. Grave 130. 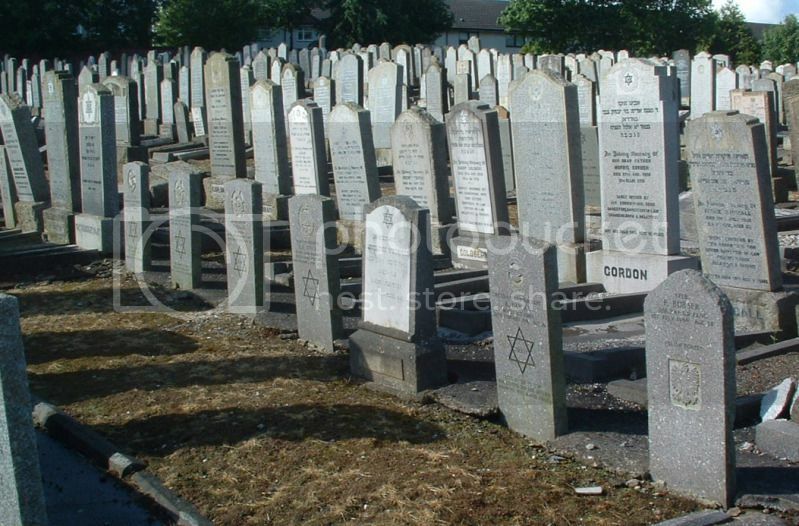 Additional Information: Son of Manuel and Sarah Goldstein, of Glasgow. Grave Reference Sec. C. Grave 138. 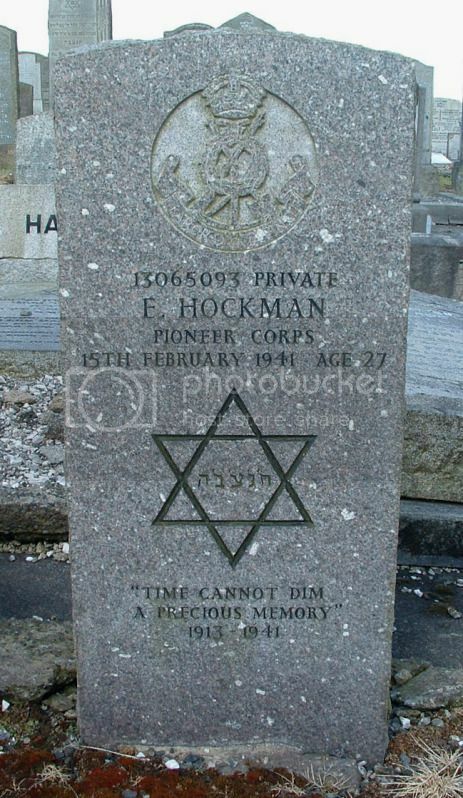 Additional Information: Son of Adolph and Matilda Hockman; husband of Julia Hockman, of Leyton, Essex. Grave Reference Sec. C. Grave 203. 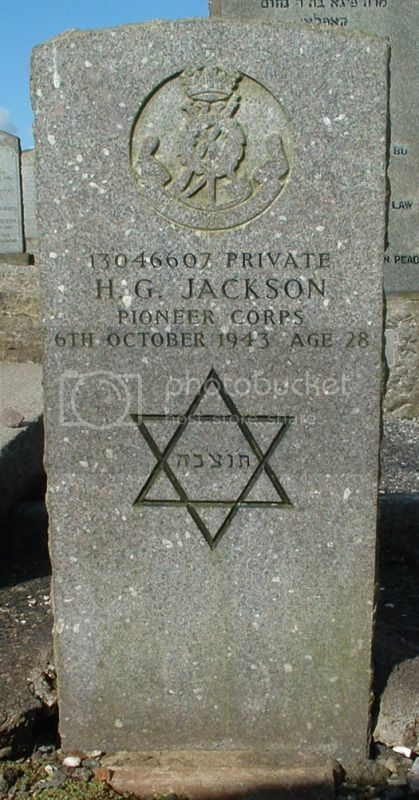 Additional Information: Son of Dagobert Jacobus, and of Ella Jacobus (nee Goetschel). Regiment/Service: Highland Light Infantry (City of Glasgow Regiment), 11th Bn. Grave Reference Sec. B. Grave 132. Grave Reference Sec. C. Grave 212. 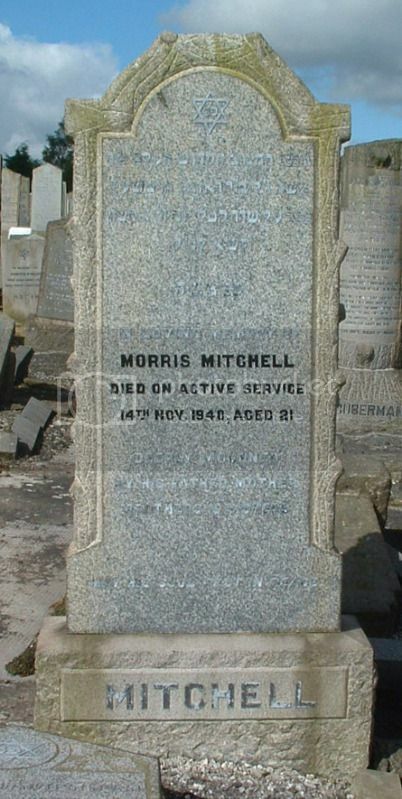 Additional Information: Son of Isaac and Millie Morrick, of Glasgow; husband of Sybil Morrick, of Glasgow. Grave Reference Sec. C. Grave 209. 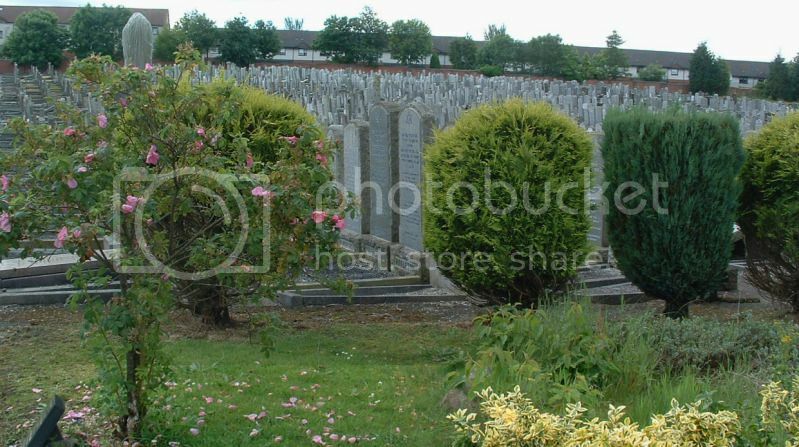 Additional Information: Son of Michael and Mary Needleman, of Glasgow. Grave Reference Sec. C. Grave 214.